The Rock Stars are in the studio!! 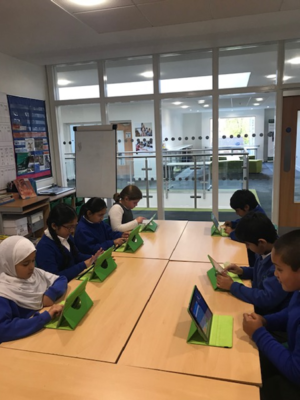 In Year 5 we have a drop-in-session every Thursday lunchtime for children to log on to their Timetable Rock stars APP and practice their timetables! They are very focused and determined to improve their speed. Next >> Next post: The Dinner Party of the Year!